I really, really thought I would have finished my Christmas shopping and have had all my gifts wrapped by now, but I've been laying low (as much as I can) these last couple of weeks because I haven't been feeling so fantastic. It's given me a good chance to work on small projects around here and focus on blog work. Anyway, I don't shop for many, so I plan to finish up in these next couple of days and then get to wrapping. I cannot even believe how quickly Christmas is approaching! I know this time of year is a scramble to get those last minute gifts finished and to decorate the last little bits of our homes. This week I created these super simple ornaments that give such a warm and cozy feel to your holiday décor. Last week when I shared my Holiday Housewalk tour I didn't get to include as many pictures of our mantel as I would have liked. So, I took some additional photos this week and thought I would share. You may have noticed in our Holiday Housewalk tour or my Sukhi Rug post, that I changed up some of the seating in our living room. The All Modern chairs that you can see here have made their way into other parts of our home and this vintage bench has taken its place. I'm really loving how it keeps the room visually open, especially during the holiday season when we have a tree in the space and are entertaining more often. The holiday season can't go by without a cozy blanket gift guide! 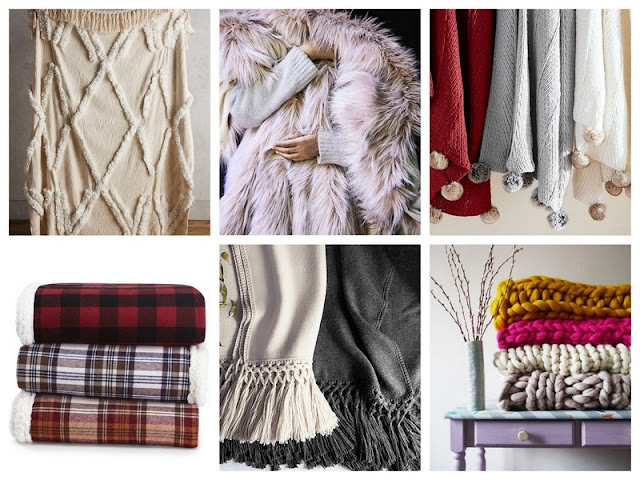 Warm, comfy throws are pretty much what I live for during these chilly months in New England. Do you all agree? I have been known to keep the heat low just so I can wrap up in one of these lovely blankets. This fall I was gifted the most gorgeous rug and I would love to share it with you all! Full disclosure...I intend for this rug to be in our master bedroom...which I started in September-ish or so, and has been stalled for the last couple of months while I finished custom orders and worked on Christmas deadlines. So, imagine this rug, so incredibly warm and cozy to step on, when you wake up in the morning, rather than staged in my living room. As we enter the holiday season, I wanted to share one of my very favorite things, whether we have company over or its just us...the cheese board. Honestly, sometimes we will have this for dinner rounded out with cut up veggies and deviled eggs and everyone loves it. One of my very favorite Christmas pictures on Pinterest is of a white cake with rosemary trees. I was completely determined to use it as inspiration this year because it's absolutely stunning, but I honestly have zero ability to frost a cake. So, while I made the sugared cranberries, I totally bought the cake and tailored it to what I wanted. In my book, that is much, much better than the frustration and stress I feel when frosting. We currently are in the midst of renovating two areas in our home. 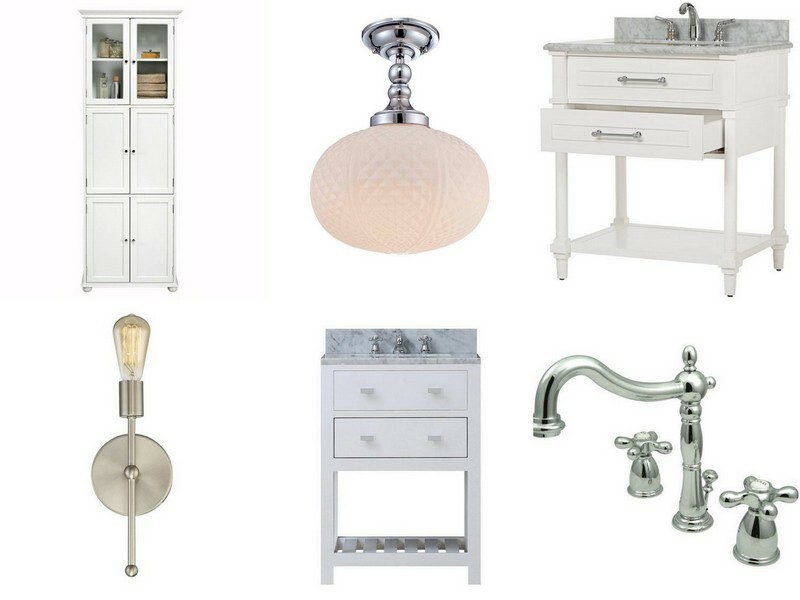 I literally spend hours planning and searching for inspiration and product and I thought I would share some of my inspiration (and a few things I've purchased) for our half bathroom. This room also serves as Figgy's bedroom, so it needs to accommodate his litter box, food and bed. He's always been obsessed with sleeping in his cat carrier, but I'm hoping we can get him something a bit smaller but still covered. I've been trying to get these pictures up here for the last several days to share with you all. 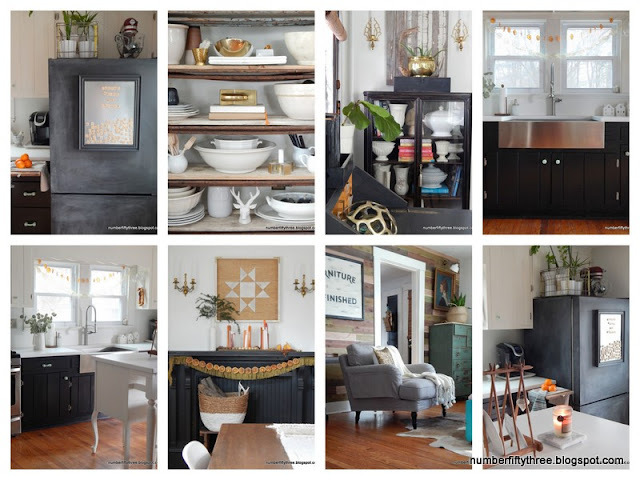 Last week, I blogged a couple of times about Halloween projects and decorating (links at the end of this post), and several of you reached out to me asking when/why did I paint my mantel from black to white. 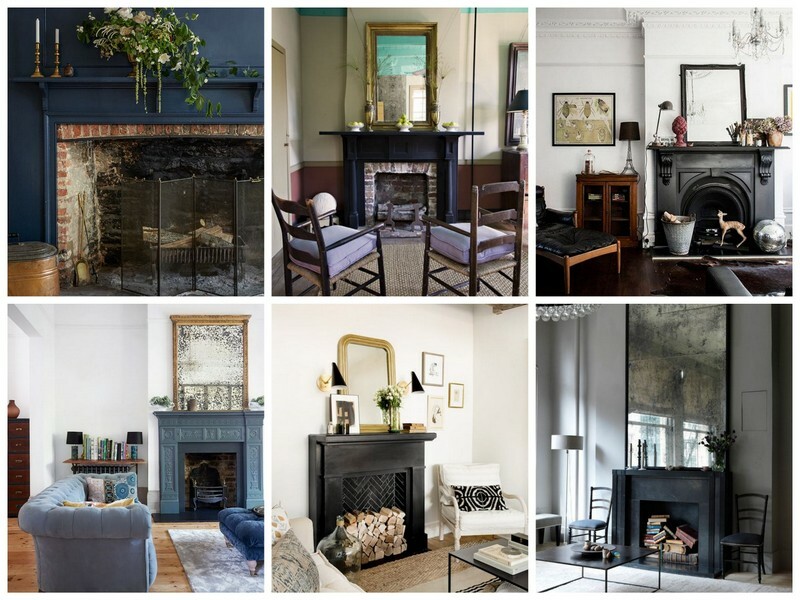 Let me explain mantel update five or six...sometimes it just takes a while to tweak something just perfectly, and since my home is where I can experiment with décor and design, it's not a big deal to me. 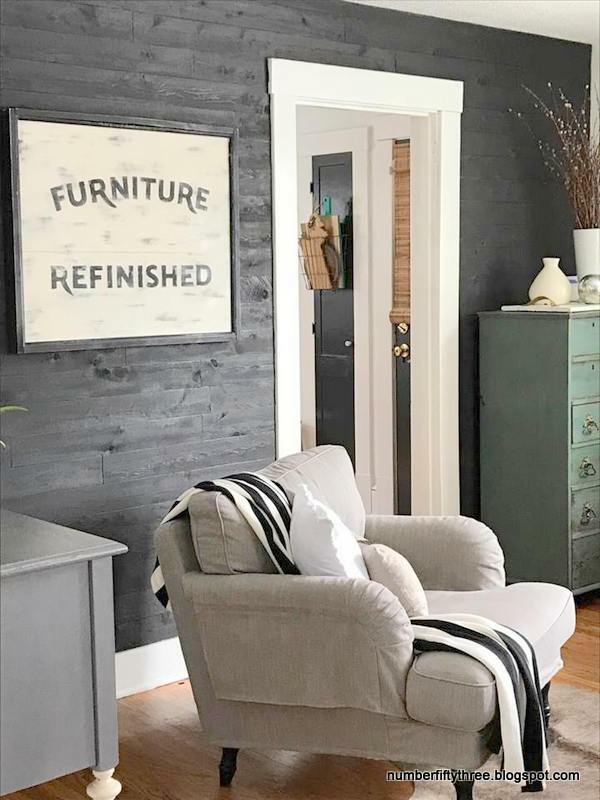 You all know that I love furniture, and as someone who refinishes and paints it professionally, there tends to be a revolving door of pieces coming through my home. I will quite often bring a piece in and won't be able to part with it for a bit. Because I have such a influx of furniture I never really become attached to pieces. In fact, when we moved to the farmhouse two years ago, I barely brought any furniture with me. However, there is a desk and chair that gives me the I would never sell/You're stuck with me for life, vibe. Yesterday, I shared a super simple white chocolate dipped apple treat and a little glimpse of my Halloween dining table. I'm back today to break down the table step by step and answer a couple of questions. If you are anything like me, you love everything fall. Although its been unseasonably warm here in New England these last several weeks, I've been bringing in touches of the season into our home. Today, I want to share a really easy twist on a candy apple (which is a staple around here this time of year)! I thought I would take a little time on this chilly and wet Monday morning to update you all on our living room progress. After I posted rug options (here) I ended up ordering the winner (based on all the comments I received on social media), which also happened to be my favorite. 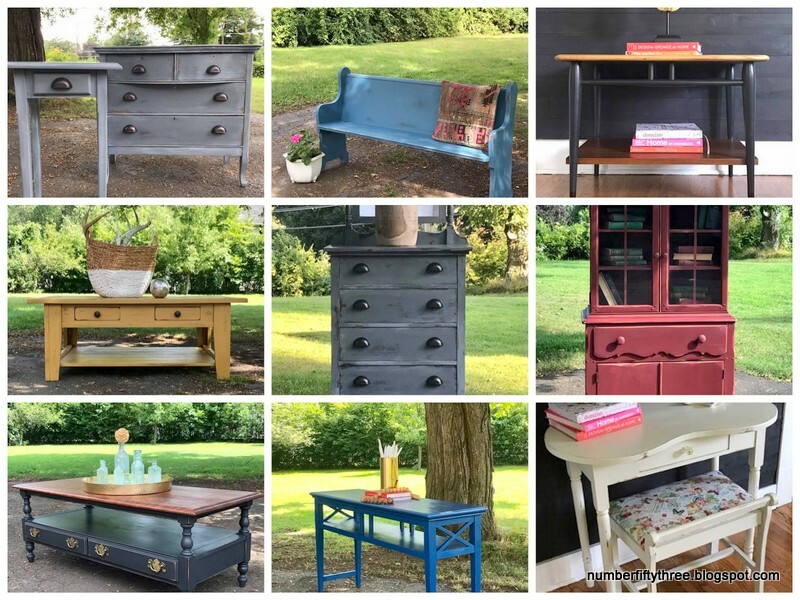 I had such a great time working on this project for The Fab Furniture Flippin’ Contest! This month's theme is Garden Treasures and is sponsored by Modge Podge. I wanted to share with you all a great resource for purchasing used furniture online. 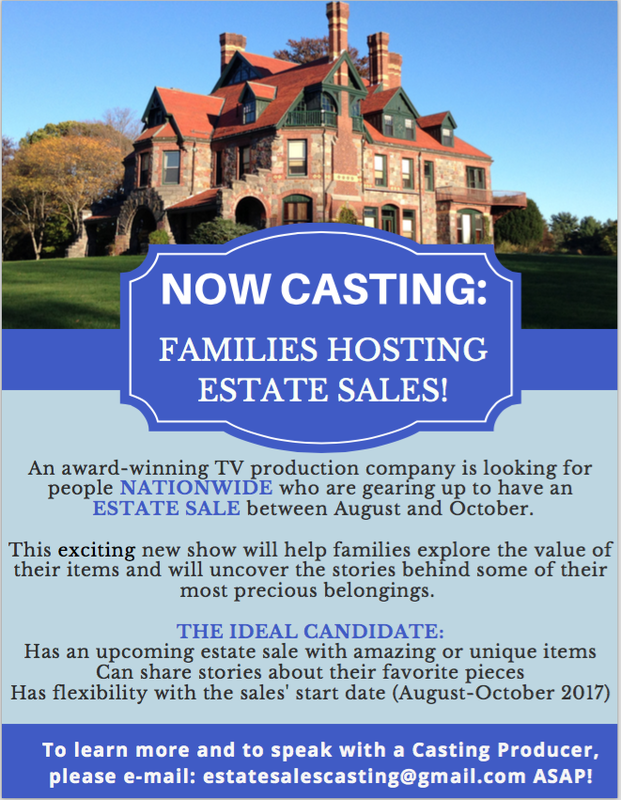 It's something I have been looking into more and more as I try to get this old house of ours decorated. You all know that I love going out and exploring and hunting for new pieces, and this is great for the painting and refinishing part of Number Fifty-Three, but sometimes I want a certain piece for my home now, without the months it sometimes takes to source it locally. 1. Define your style by looking online, in magazines and in books to see what you are drawn to. Welcome to our antique with modern inspired dining room! I shared a quick picture on social media last week, and, while I still have more to do I wanted to document the progress I've made. I just wanted to share a new little update to our living room with you all. 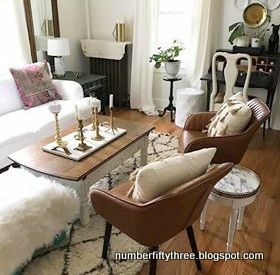 Recently, CommercialSilk.com reached out to me and provided me with the opportunity to add some faux plants to our home. Since I love boxwood, I was immediately drawn to these topiaries. I'm loving the contrast of black with whites and creams lately. 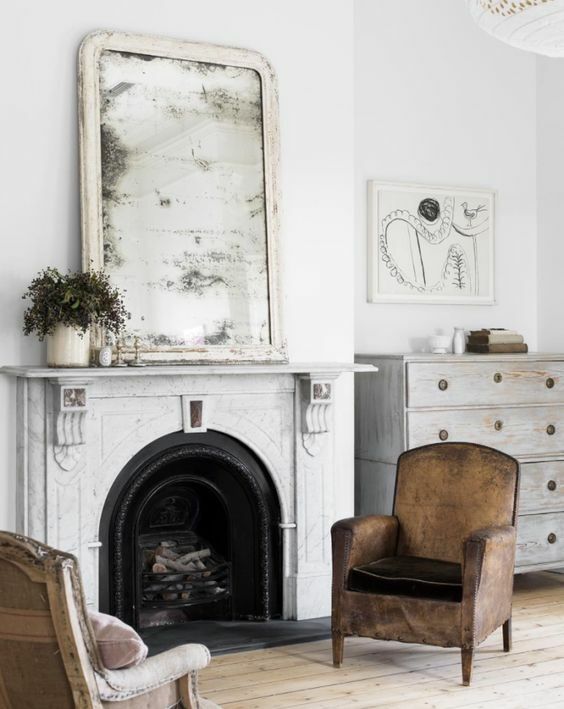 When we first installed our antique fireplace I was certain that I wanted to paint it white to match the trim, but when it was finally in place, I completely switched gears to painting it dark. 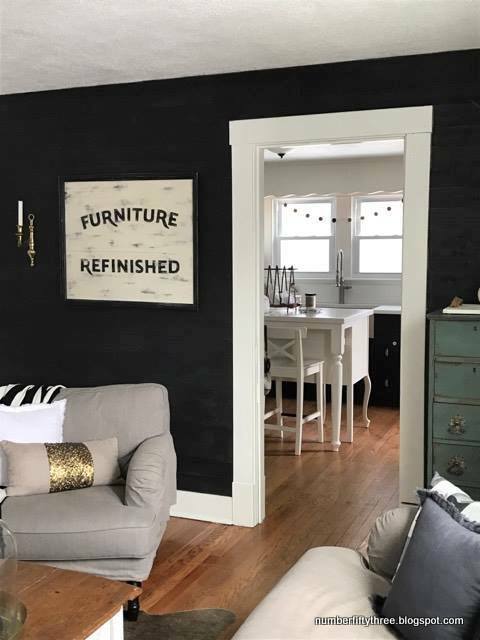 It isn't a total departure from what we have going on in the house (doors and other accents have been painted black), but I think it made it really stand out and be a focal point in our space. I've done so many great furniture pieces so far this spring (hoping to post a roundup of them soon), but this one certainly tops the list! I have a really simple Valentine craft that adds a little punch of fun and color to your winter kitchen décor. This past weekend we decided we needed a little break. 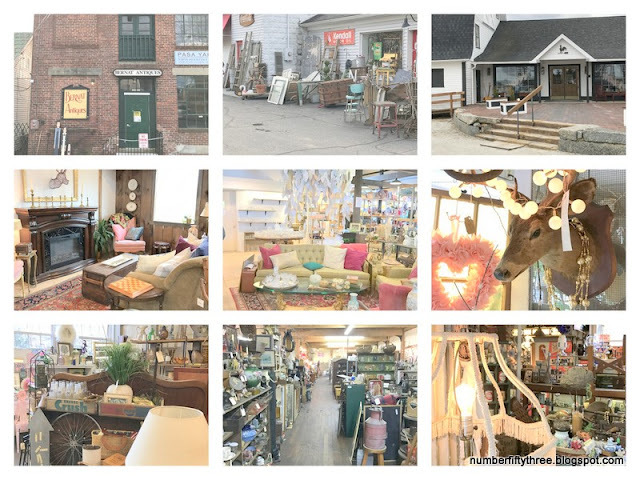 We headed off to one of our very favorite stores and I thought I would share our full day with you all as part of the Antiquing Road Trip series we have here. I'm so excited to share my latest entry for The Fab Furniture Flippin’ Contest with you all! This month's theme is Spray it Pretty and is sponsored by HomeRight. Anyway, the space is crazy narrow with zero room for furniture, so I'm relying on wall treatments and wall décor to give the space some personality. I wanted to talk a little bit today about buying older houses that need updating when you really don't have a huge budget to do so. I've been loving all the message and sign boards I've been seeing on Instagram lately, and have wanted to do my own take on one. I'm always in that constant struggle between I love stuff and I hate clutter. Do you feel that way too? Literally, our antique bakery cart holds more of my decorative stuff than any other piece in our home. January is my favorite. I actually really love packing up Christmas and getting a fresh start on my decorating. This year, I left a lot of the textural elements out from Christmas that had a winter feel; think pillows and throws. The rest I kept very simple. I'm sure I'll add to it as the weeks progress, but for right now. I love the basic, neutral feel of the space. As you can see, this space has more color than anywhere else in our home. 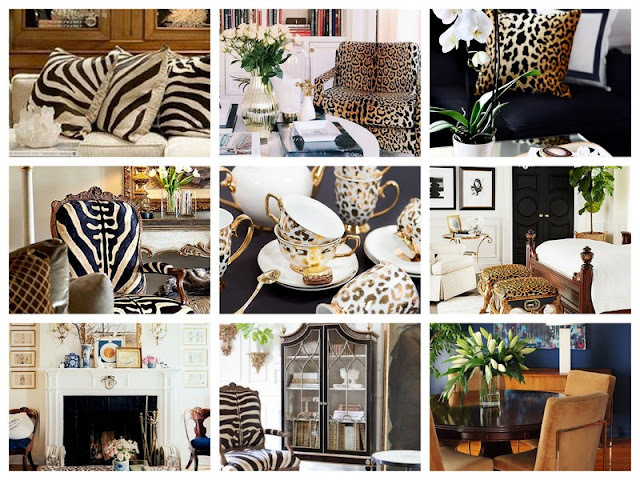 This originally was published as a contributor post on Jennifer Rizzo Design Company. I have a great garland DIY to share with you all today! Behind the scenes here at Number Fifty-Three we have been chatting about barn quilts for some time. While they aren't really popular here in the northeast, they are quite prevalent in the Midwest (where Darrell is actually from), and I did get to see some first hand when we went to Indiana last fall. I've been wanting to add one to our home for some time now since we do have an old farmhouse, but wanted to make it my own; incorporating that modern and rustic combination that I love so much. Thank you to DecoArt and D. Lawless Hardware for sponsoring this post. This is a handmade, DIY, on a budget kind of home. And, I hope that inspires you all. You don't need to have tons of money to update and refresh your space. We did all the work ourselves in our kitchen reno (with the exception of installing the counters as that was included with purchase). It took forever, tackling little bits whenever we had time/money (and there are still a couple of projects to complete), but we are thrilled with where we are at. Happy New Year, friends! I've been trying to focus and organize myself better and go back to creating my to-do lists again. #NewYearGoals With that said, I have a nice list of projects to share with you all this month. Lots of fun crafts, DIYs and frugal decorating tips. I hope you'll all visit often and share with your friends.